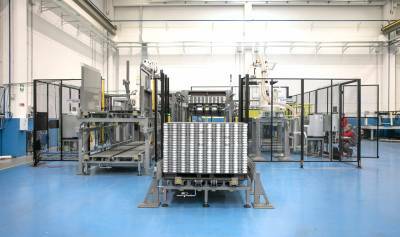 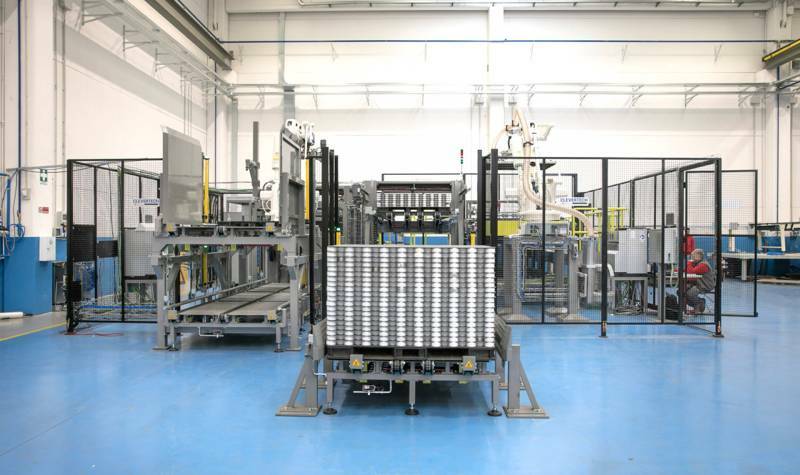 The RAPD EC/FC TORPEDO series palletizes/depalletizes empty (EC) or filled (FC) cans, jars and bottles using a magnetic head (PM) or vacuum head (PV) and can also automatically perform these functions simultaneously (BALANCER). 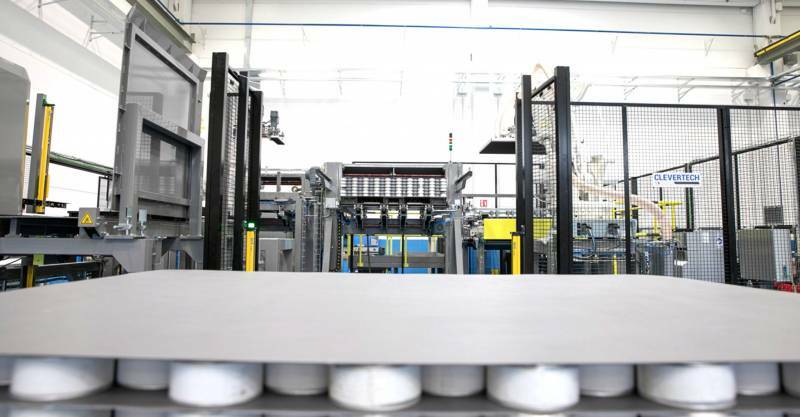 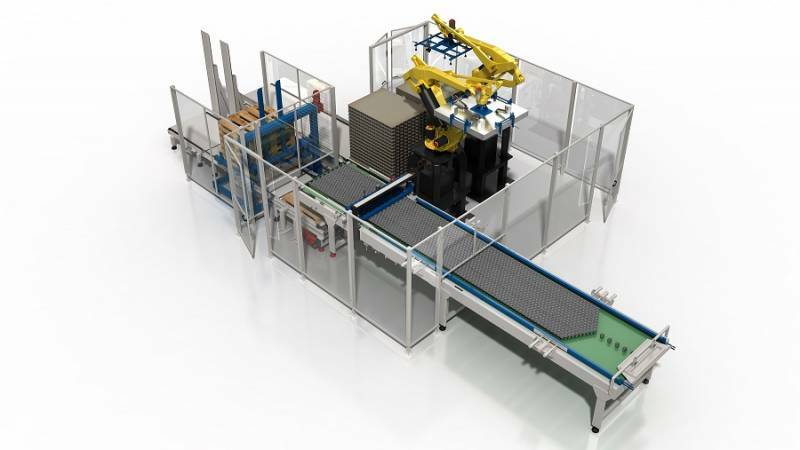 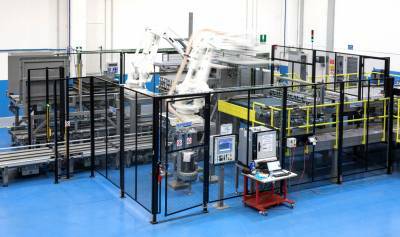 It is a very high-speed palletizer/ with one robot that picks and deposits the layer and a second robot that picks the layer pads, top frames and pallets. 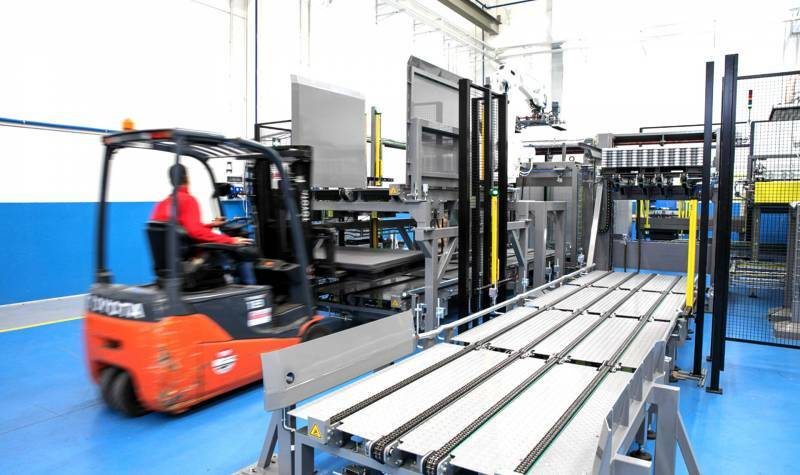 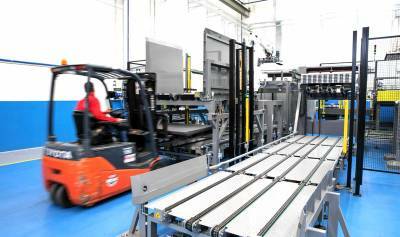 Moreover, the TORPEDO system provides totally automatic and flexible unloading and stacking of layer pads, top frames and pallets, with no need for additional handling by operators.